The first incident is about three fingers on a dusted window appearance. And the second one is the falling of hanging lamp chain at an old apartment. The Annabelle film should make not only the viewers terrifying but also the screws too. The director, John R. Leonetti, also realizes how horrible the circumstance when they are taking a shoot of the spin-off film of “the Conjuring”. There is good news for zombie movie lovers. The movie Zombieland which has been successful in 2009 will continue the story with the sequel, Zombieland 2. The latest report states that the scriptwriter of the movie GodZillaa (2014), Dave Callaham has been worked in to make the script of the sequel. Meanwhile, the director of the first movie, Ruben Fleischer is predicted to back to his chair and make the script written by Callaham come true. Zombieland (2009) was fulfilled by h four main characters played by Jesse Eisenberg, Woody Harrelson, Emma Stone and Abigail Breslin. They have a journey to find a shelter during the zombie surrounding. This movie succeeded to get the profit up to US 75 million dollars in the domestic side. The voice actors of Angry Birds movie have been revealed. The actor in the movie We're The Millers (2013), Jason Sudeikis will be the voice actor for the main character, Red in this new animation movie. The character of Red has a problem with the emotion and tends to be temperamental. On the other hand, Josh Gad will be the voice actor of Speedy chuck and Danny McBride will be the voice actor of the Volatile Bomb. 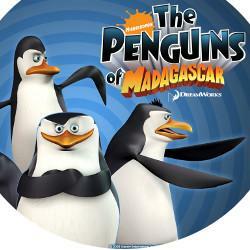 Reported by Aceshowbiz, Bill Hader and Maya Rudolph will be dealing with the movies as the voice actor and actress to. Hader will be the voice of one character of the evil pig, and Rudolph will be the voice of Matilda. And the star of the movie series, Game of Thrones, Peter Dinklage will be the voice actor of the Mighty Eagle. Some other actresses and actors who get involved into this Angry birds movie are Kate McKinnon, Romeo Santos, Tony Hale, Cristela Alonzo, Jillian Bell, Ike Barinholtz, Danielle Brooks, Hannibal Buress, Keegan-Michael Key, Ian Andrew Hecox, and Anthony Padilla. There are many interesting stories behind the making process of a movie, especially animation movie. Let we say The Lego Movie, which is to be most wanted movie for children and teenagers. On the movie, there is not only ordinary animation shown but also lie action combined with CGI (Computer Generated Imagery) animation as well as silent animation. You must be wondering how the visualisation of the Lego Movie that makes it perfect and easy on your eyes. Christopher Miller as the director gladly told the challenges he found when doing The Lego Movie.